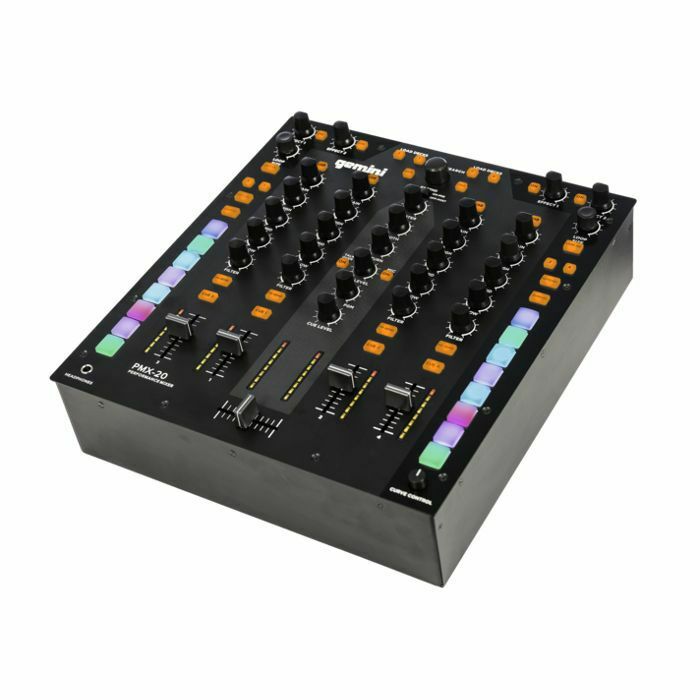 The PMX-20 is a 4-channel hybrid mixer designed to meet the needs of the most demanding scratch addict, with a highly adjustable Innofader-ready crossfader, 8 RGB performance pads per side, and professional inputs and outputs (including booth output). The PMX-20 adds full effects send return, so you can connect any effects or looper that you want. The rugged all-metal chassis means the PMX-20 can take a beating for years to come. 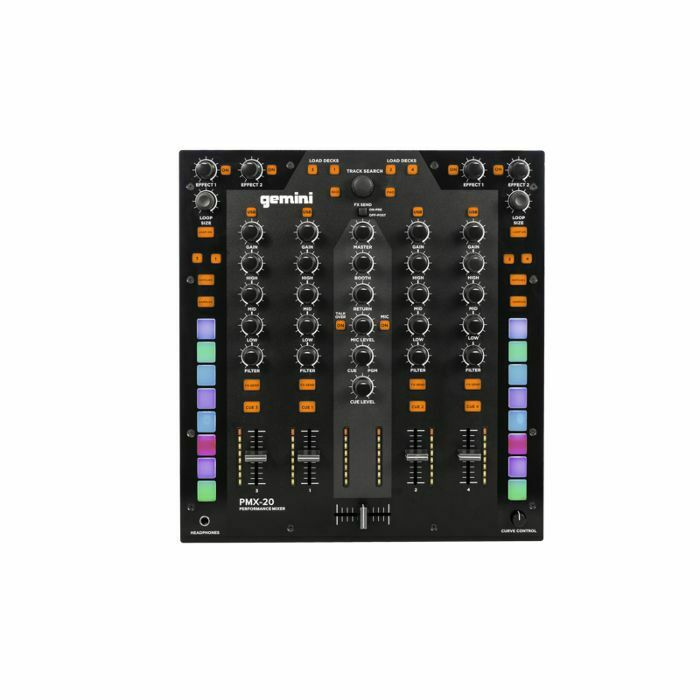 The real secret sauce in the PMX-20 is the MIDI and audio interface functionality. 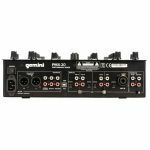 Every control on the PMX-20 sends MIDI - not just the dedicated MIDI functions like the cue buttons and effects controls. 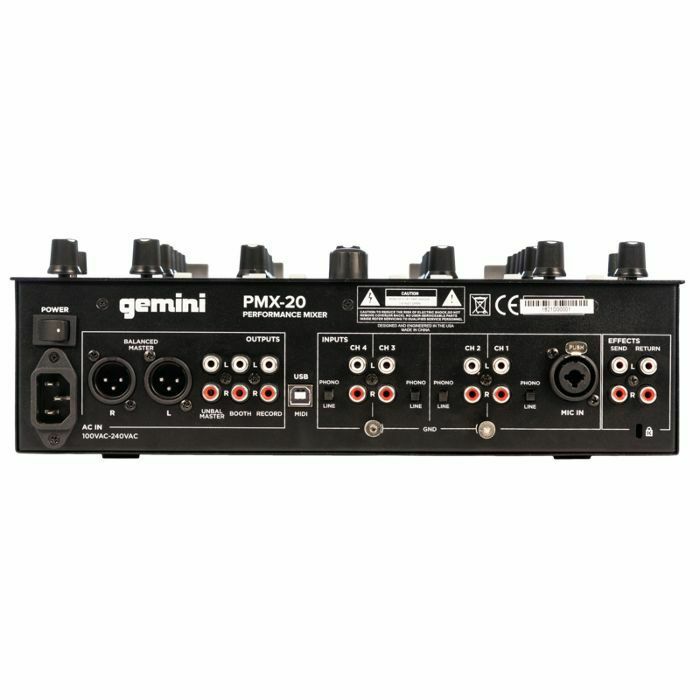 This combined with the built-in 4 channel audio interface allows the PMX-20 to also work as a fully stand-alone MIDI controller. With the PMX-20 you'll get a lot for not a lot.